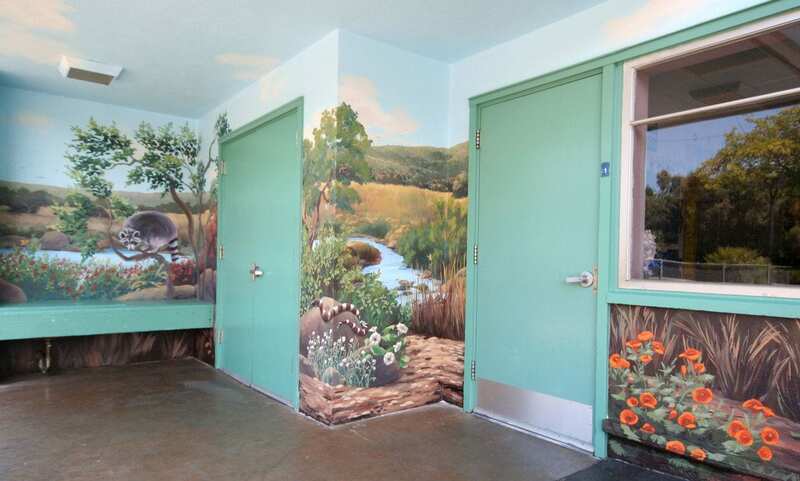 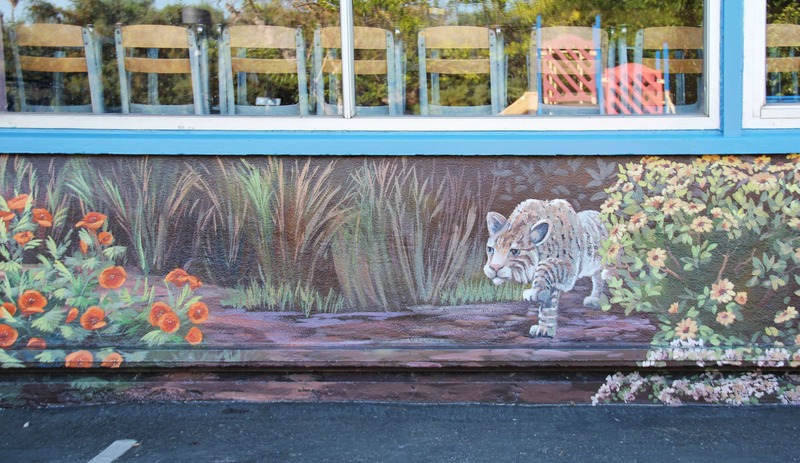 Montclaire Elementary School in Los Altos, CA hired me to paint this mural in the kindergarten play yard. 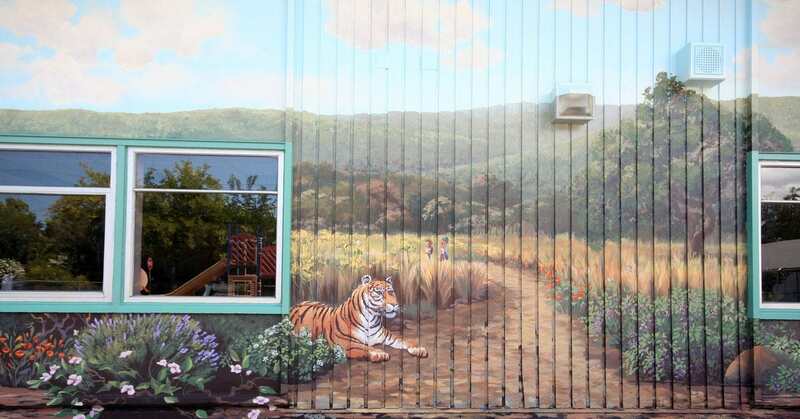 What was a stark white wall was transformed to a colorful local landscape that included the school mascot – a tiger! 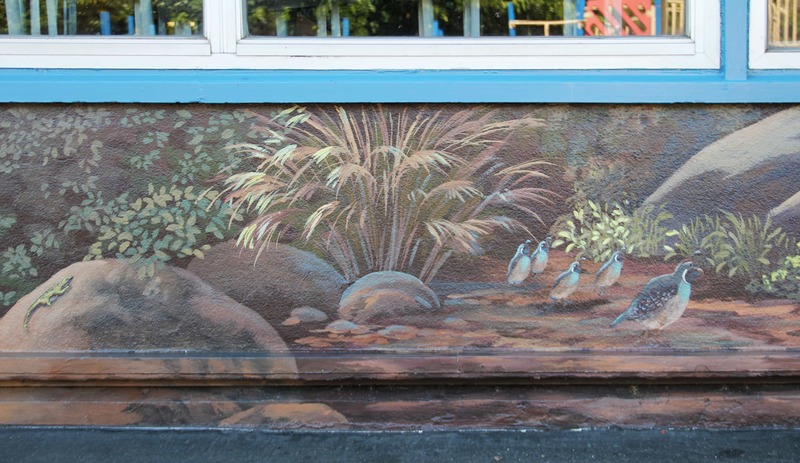 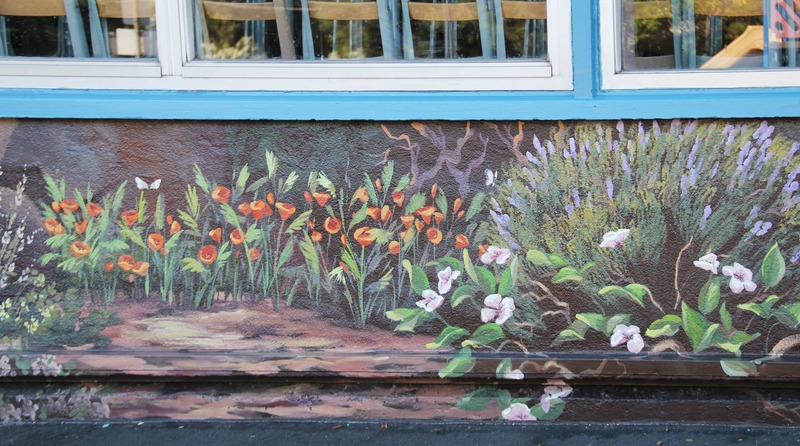 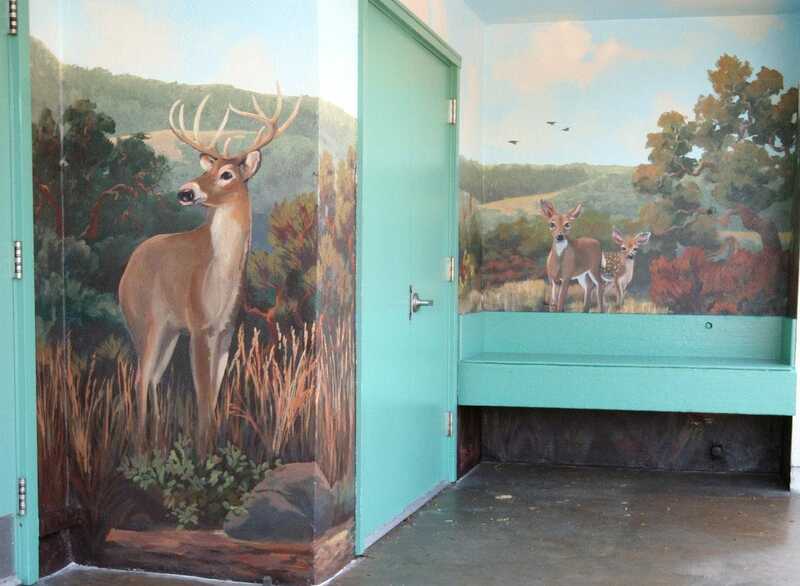 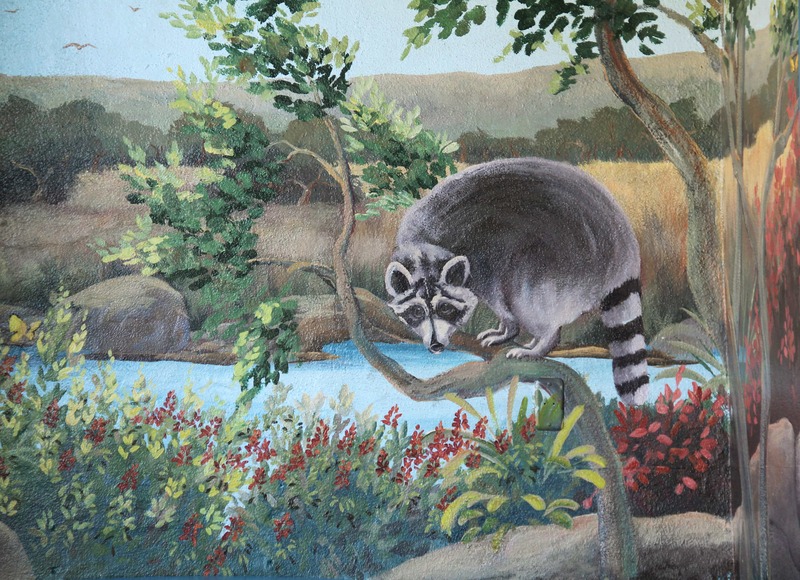 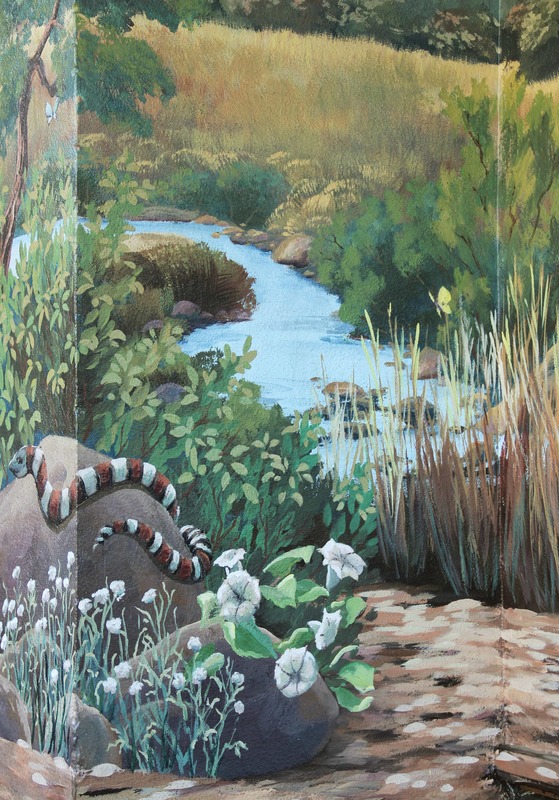 Also featured in the mural were raccoons, deer, snakes, quail and poppies.